The purpose of this review is to examine recent evidence supporting effectiveness of bariatric surgery and abdominal lipectomy as interventional strategies aimed at reduction in incidence of cardiovascular disease (CVD) and related morbidity and mortality in obese and metabolic syndrome patients. While several studies show reduction in CVD risk factors in patients who have undergone both the Roux-en-Y gastric bypass and sleeve gastrectomy, very few demonstrate actual improvements in cardiovascular function, or a decrease in CVD events or CVD-related mortality. Consequently, the cardiovascular benefits of the less invasive sleeve gastrectomy in comparison to the gastric bypass are also unclear. 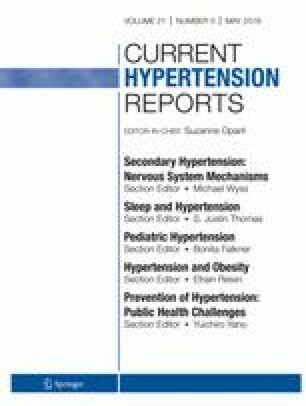 Striking new data on large patient samples demonstrate significant positive correlation between gastric bypass and CVD risk factor reduction only in patients who are diabetic or > 50 years of age at the time of surgery, with no significant differences in non-diabetic and younger patients and with significant side effects. On the other hand, a markedly less invasive removal of abdominal subcutaneous adipose tissue via lipectomy consistently and significantly improved CVD risk factors as well as cardiovascular function in the very few studies available. Overall, neither the potential nor the definitive cardiovascular benefits of either of the commonly used bariatric surgical or the various lipectomy procedures have been adequately explored. Future basic science and clinical studies have the opportunity to understand the mechanisms and long-term consequences of both approaches and develop personalized approaches with higher benefit to side effect ratios. All animal experiments referred to in this review were performed in accordance with the Animal Welfare Act and were approved by the IACUCs of New York Medical College and the University of South Alabama. Pereira PR, Guimarães M, Morais T, Pereira SS, Nora M, Monteiro MP. Diabetic and elder patients experience superior cardiovascular benefits after gastric bypass induced weight loss. Front Endocrinol. 2018;9. https://doi.org/10.3389/fendo.2018.00718.